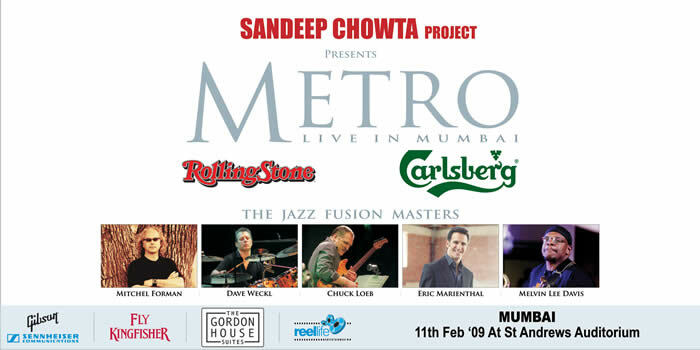 After a long period of silence, Metro is returning to the music scene in 2013. Metro West is performing in Los Angeles at the Baked Potato on July 19th. Chuck on Guitar, Mitch on keys, with Rufus Philpot on bass and Marvin Smitty Smith. Then, Metro Expanded hits Tokyo Japan at the Cotton Club. Mitch and Chuck with Wolfgang Haffner on drums, Eric Marienthal on sax, and Bijoux on bass. July 24-27. In September, Metro hits Germany to record a big band CD with the WDR jazz band. Who knows what's next. Sign up for the mailing list to stay in tune. You can buy most of the old Metro CD's at the Marsis Jazz store. Click here. Sheet Music for all 11 compositions from Metro "Express"